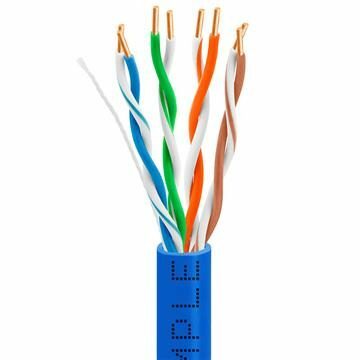 You’ll see Cat 5e PVC cables in more home and business network installations than any other type, and there are good reasons for that. 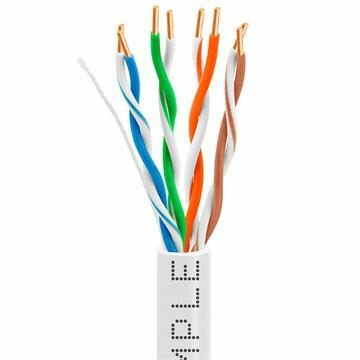 It’s Cmple’s most popular Ethernet cable for the same reasons: PVC cable is high-performance cabling that’s just right for the majority of situations and it comes in a variety of “flavors.” We offer 24AWG PVC jacket cable with both copper-clad aluminum (CCA) and bare copper conductors, we carry standard Cat5e PVC cable as well as cabling that’s rated for in-wall use or plenum runs, and you can choose from ten different colors (white, black, gray, blue, green, orange, yellow, purple, red, pink) of rugged PVC jacket. 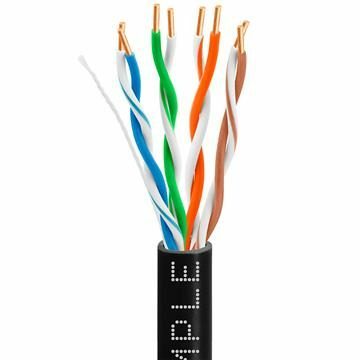 All deliver perfect results with modern gigabit Ethernet networks as well as older megabit and high-speed networking, with data transfer speeds up to 350 MHz. They’re all beautifully designed, and priced much lower than you’d expect for cables of this quality.